Mini My Horse is born! Mini My Horse is born! 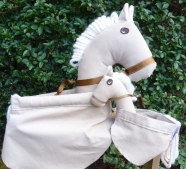 On 22 March 2015 and weighing 2 oz, Mini My Horse was delivered into the My Horse product line. Mother and baby are doing fine!